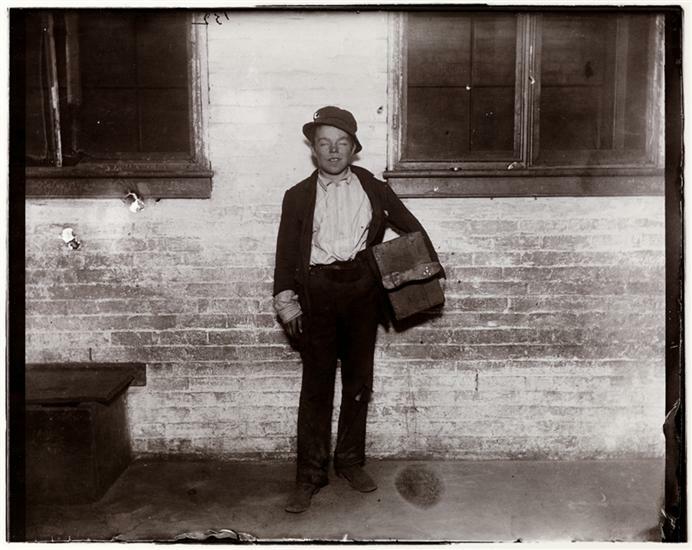 In 1870, Danish carpenter Jacob Riis, 21, took his berth in steerage on the Iowa and journeyed from Glasgow to New York. Riis disembarked in New York on June 5. 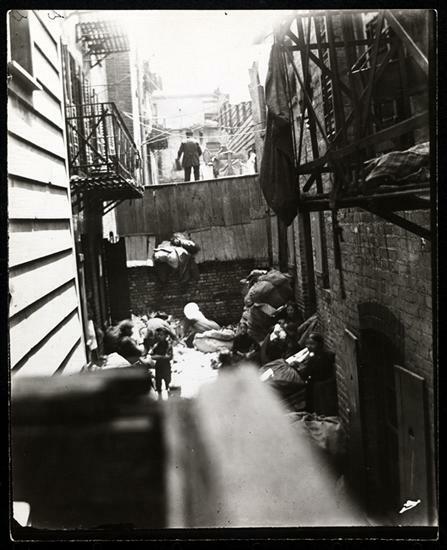 In his pockets he carried his worldly goods: a lock of his lover’s hair (while he was away she married a military hero in Denmark) and $40 his friends had given him. 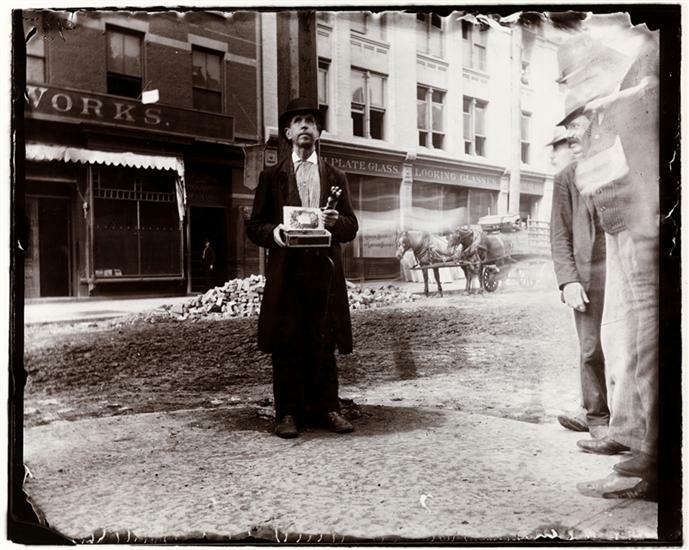 He soon invested half the cash on a revolver for defense “against human or animal predators”. He might have bought some bullets. 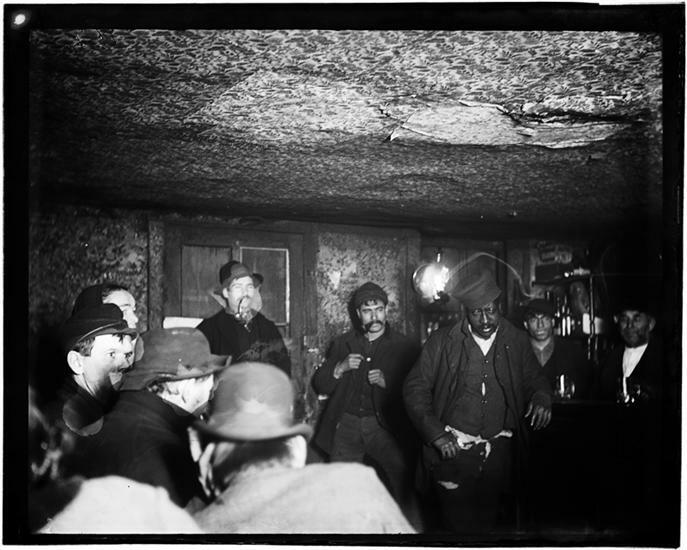 One night Riis was bedding down in the Church Street Station Lodging-room when his gold locket keepsake was stolen and his dog clubbed to death. That night, he recalled, cured him of dreaming. 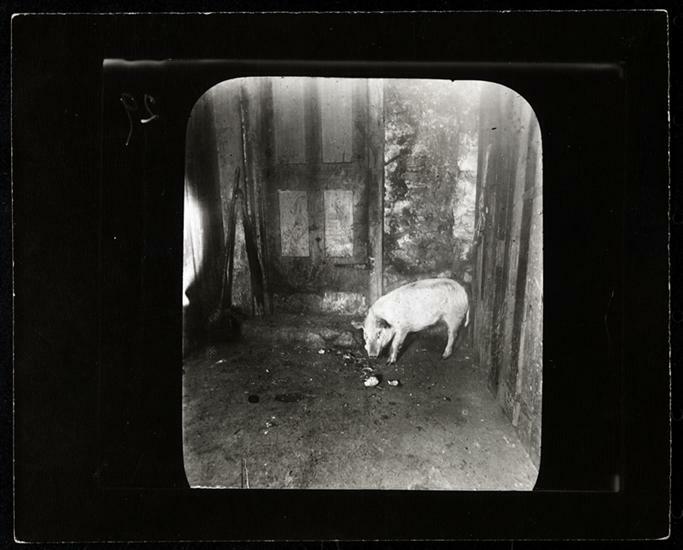 In squalor “all the influences make for evil,” he wrote. 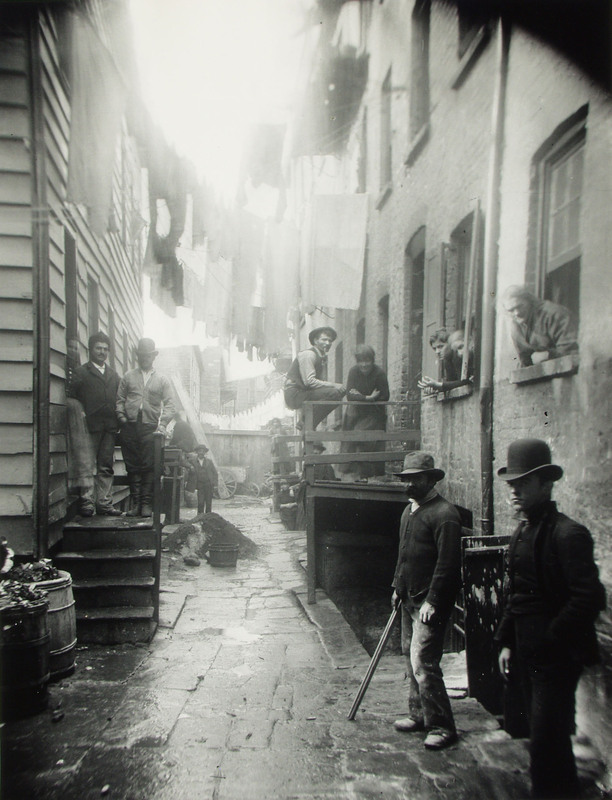 His social conscience pricked and bloodied, Riss found work as a journalist covering the impoverished Lower East Side. 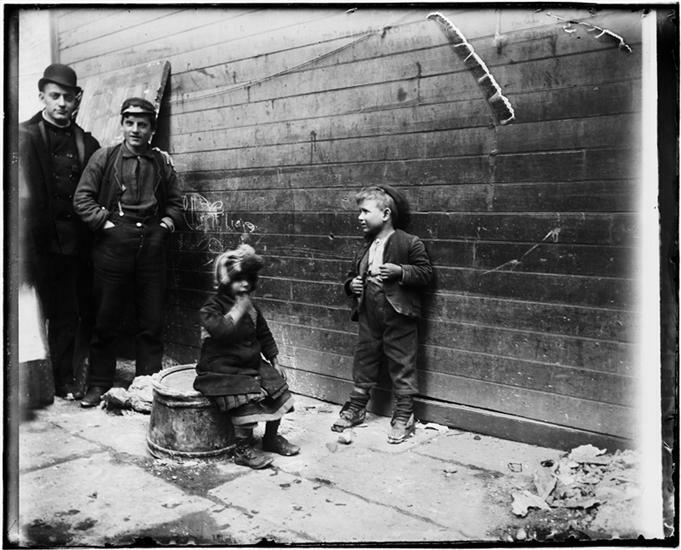 He soon began lecturing on the state of the city’s poor. 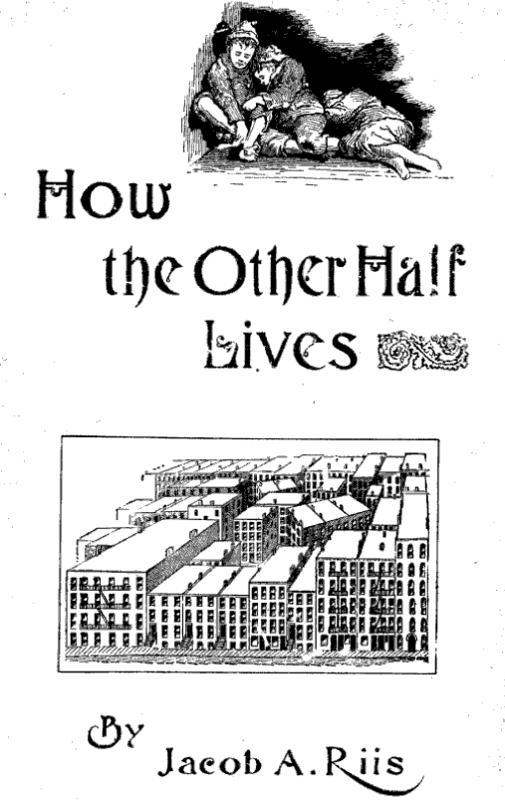 The title of his talks was morbid: “How the Other Half Lives and Dies.” It was abridged for his 1890 book How the Other Half Lives. 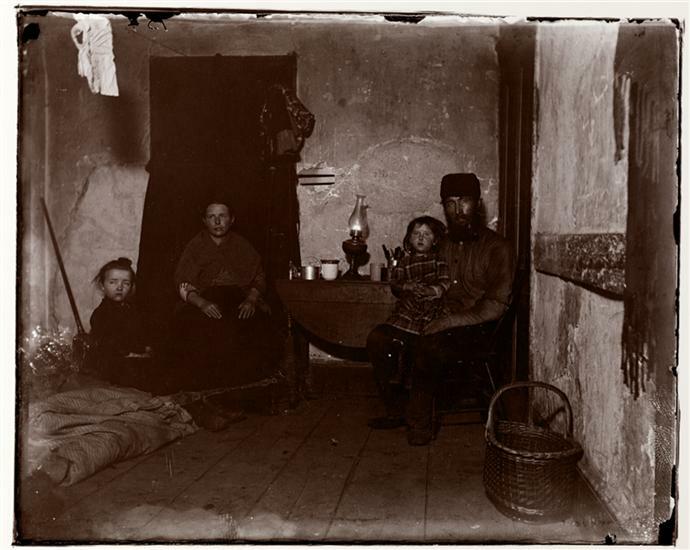 He realised photography possessed the power to capture a moment and transmit it to the nation. 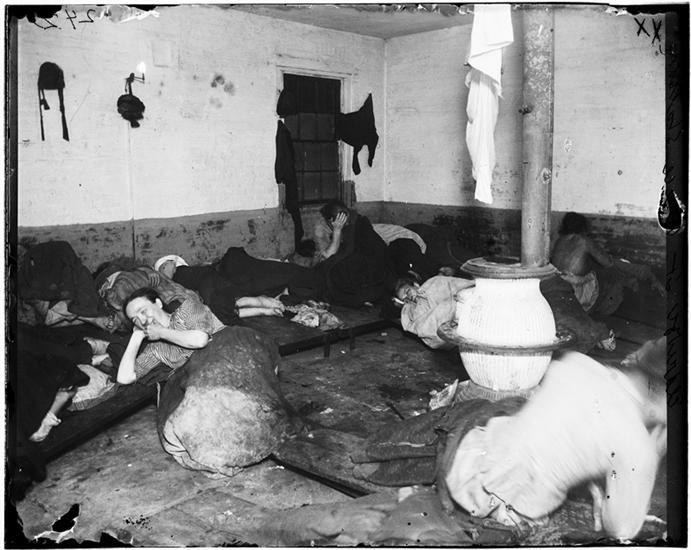 Leading a team of amateur photographers equipped with magnesium powder and potassium chlorate to produce Blitzlicht, and a tooled-up policeman, Riis fired a flashbulb into the dingy, airless rooms in rear tenements where natural light never ventured – where people would rent a “spot” on the floor for 5 cents a night – sweatshops and alleyways where people for whom New York’s Gilded Age was elsewhere existed and perished. 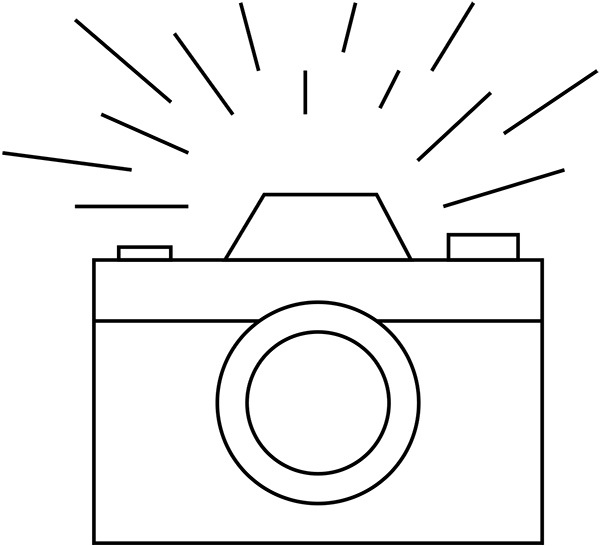 Some of his images seem staged. 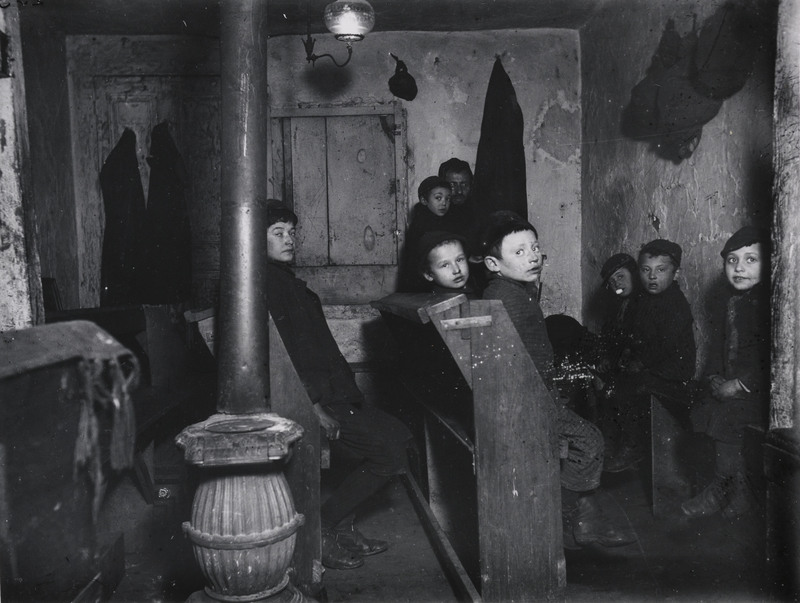 In one picture of urchins, or “street Arabs” as Riis called them, you can see the smile on a boy’s face as he’s told to lie still and wait for the flashlight to explode. 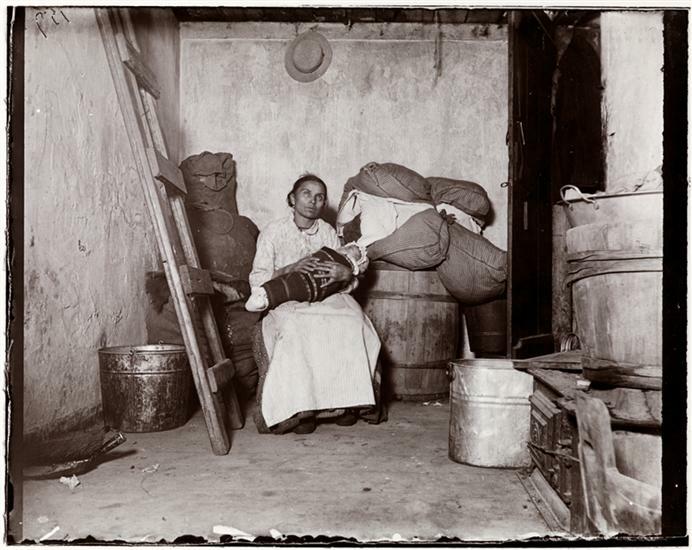 Photographs often need a narrative to make a point. 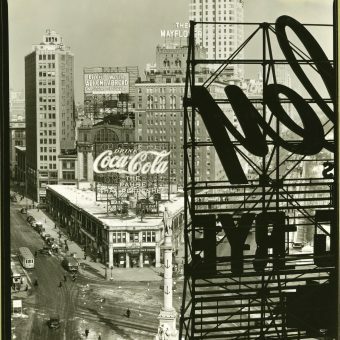 Riiis’ writing, as he noted, “did not make much of an impression — these things rarely do, put in mere words — until my negatives, still dripping from the dark-room, came to reinforce them.” “I am a writer and a newspaper man,” said Riis. The story was all. 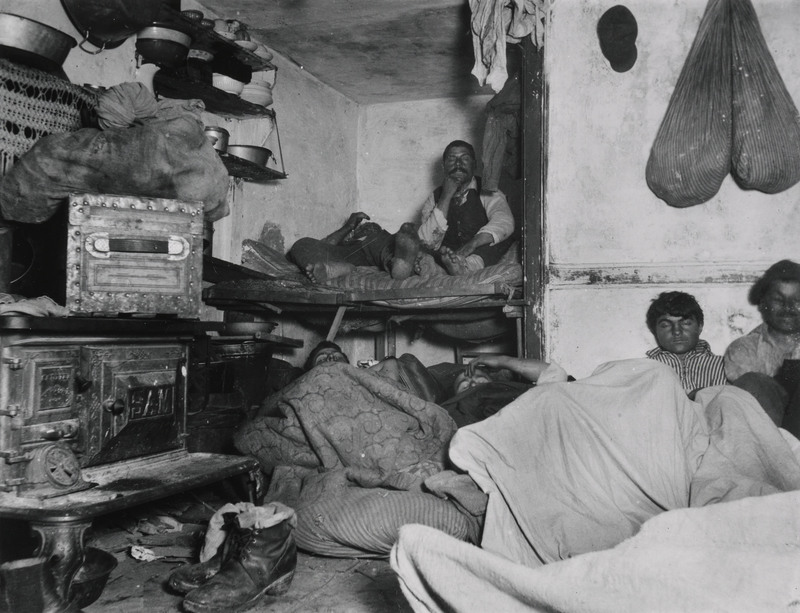 Lodger in Pell Street 7 cents lodging house (Happy Jack’s Canvas Palace) going to bed. 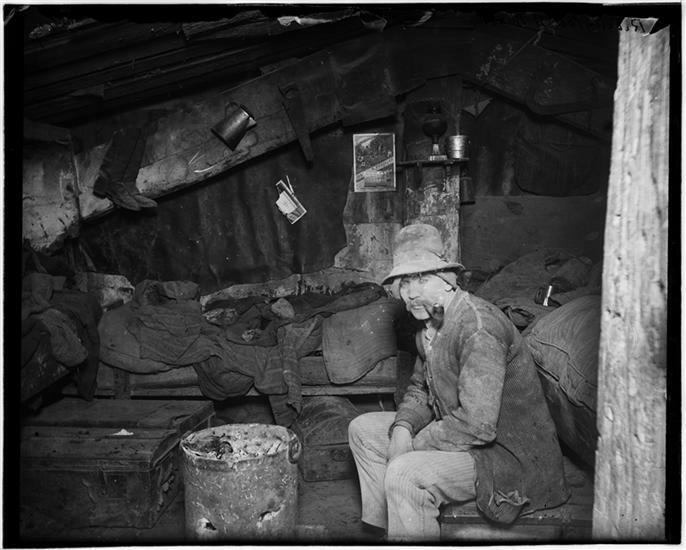 The belief that every man’s experience ought to be worth something to the community from which he drew it, no matter what that experience may be, so long as it was gleaned along the line of some decent, honest work, made me begin this book. Rogue’s Gallery, Funeral Wells & Sofy Levy; and 2 other women thieves — the prettiest & the ugliest in the Rogue’s Gallery put together. The Pretty one is a blackmailer; the ugly one a horse thief. 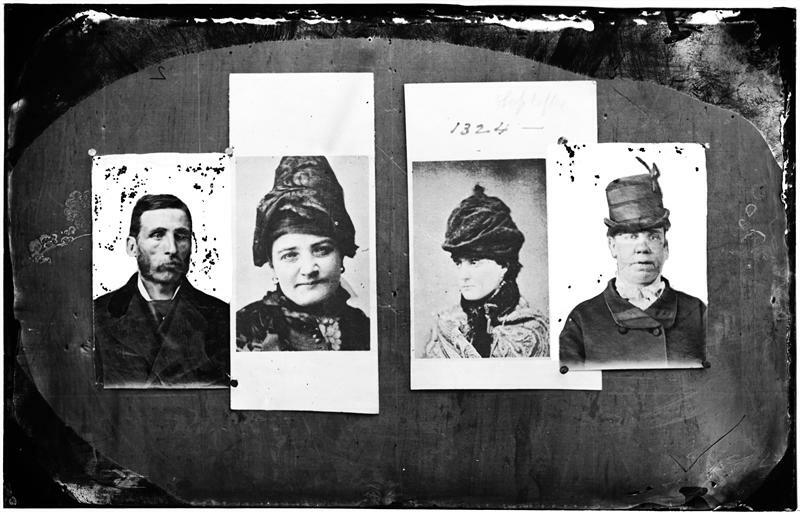 Mug shots depicted differ from title description. 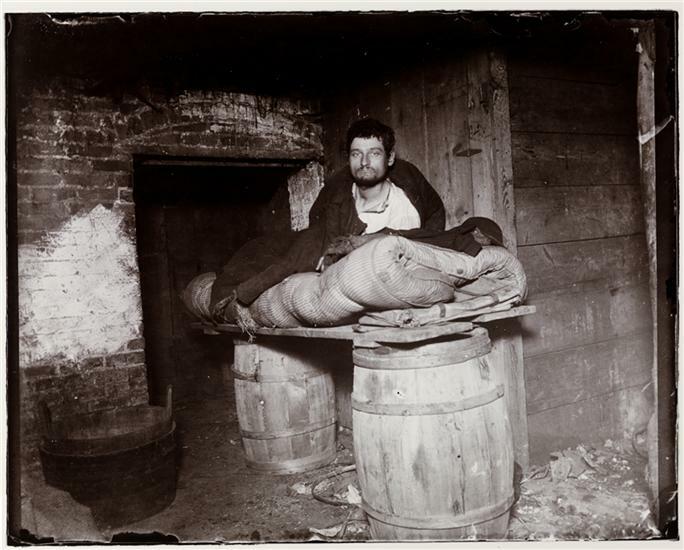 Based on descriptive information in Thomas Byrnes’s “Professional Criminals of America” (1886 and 1895), the image purported to be of James “Funeral” Wells does not look like him. According to Byrnes, Sofy Levy’s real name was Sophie Lyons. 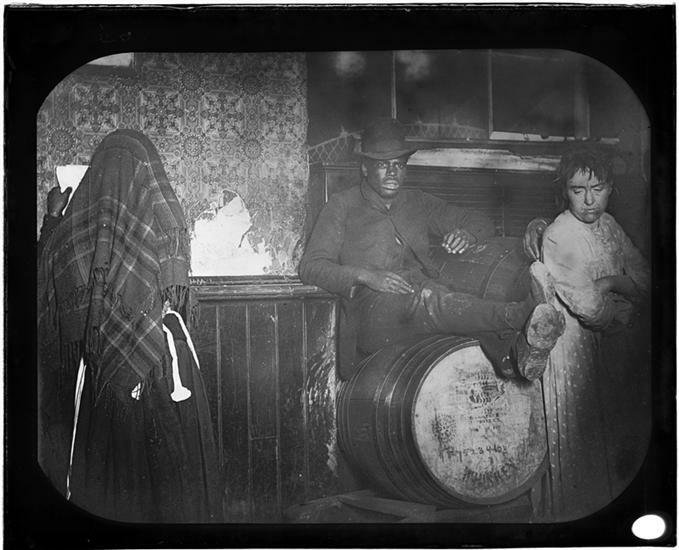 An African American man seated on a whiskey keg flanked by two women in a “Black and Tan” dive bar on Broome Street near Wooster Street. 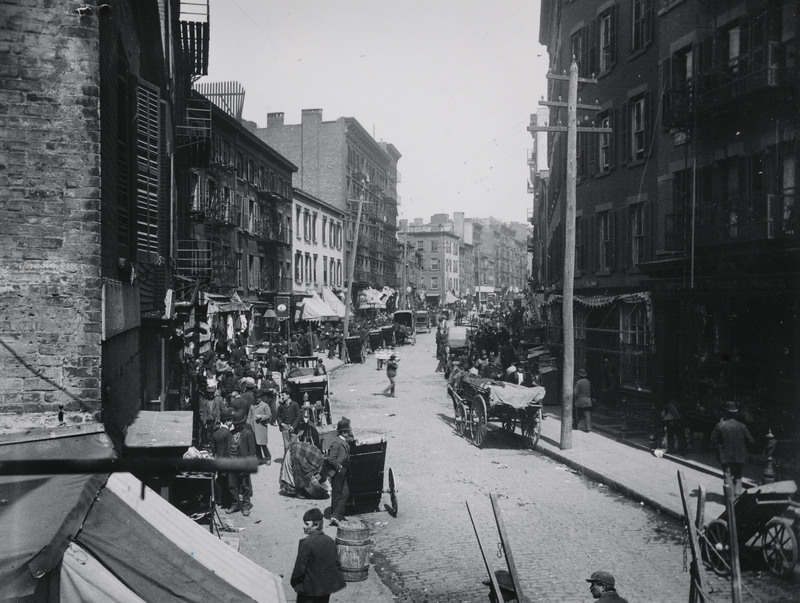 During the late 19th and early 20th centuries the population of Manhattan’s Lower East Side soared as tens of thousands of eastern European Jewish and Italian immigrants moved into the area’s crowded tenement buildings. 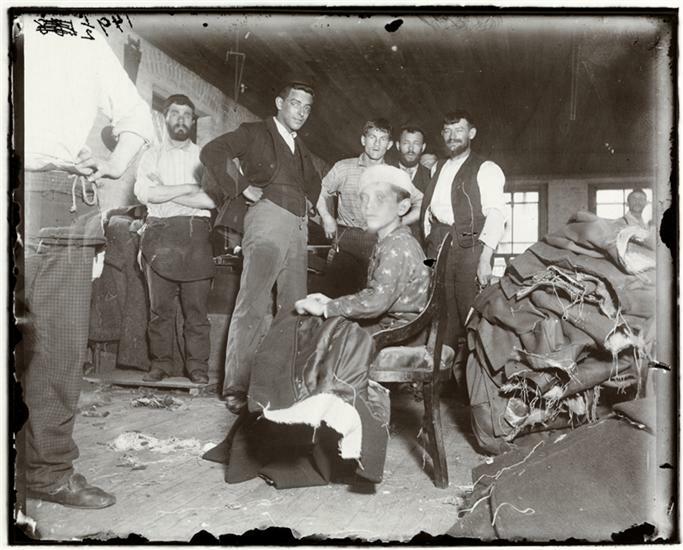 These new immigrants found work in the garment industry, as pushcart vendors in the lively retail trade along Orchard and Grand Streets, and other trades. 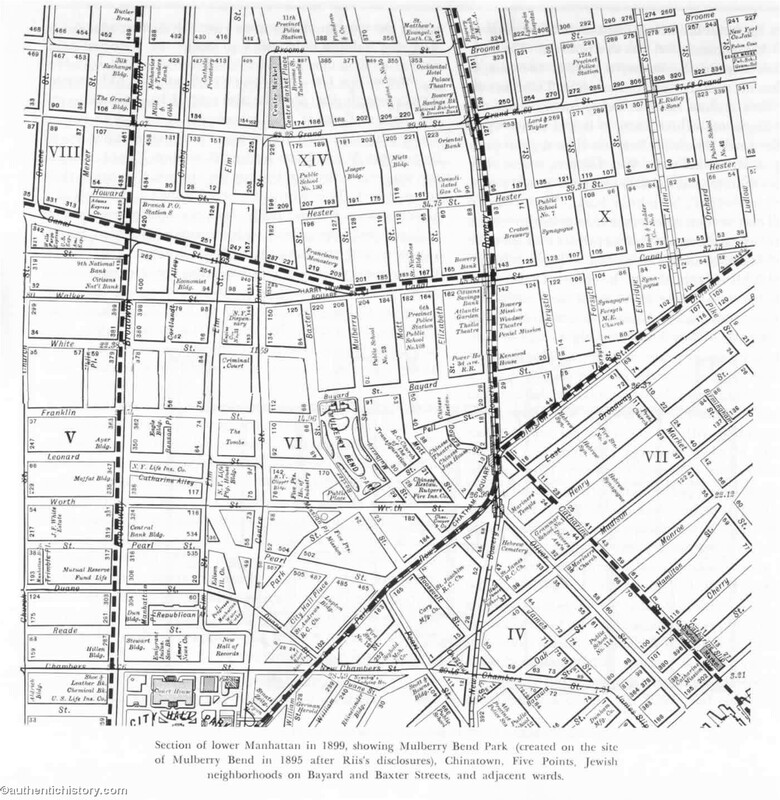 They established benevolent societies and fraternal organizations, joined local churches and synagogues, and participated in the thriving popular culture of the theaters and dance halls on 2nd Avenue and The Bowery. 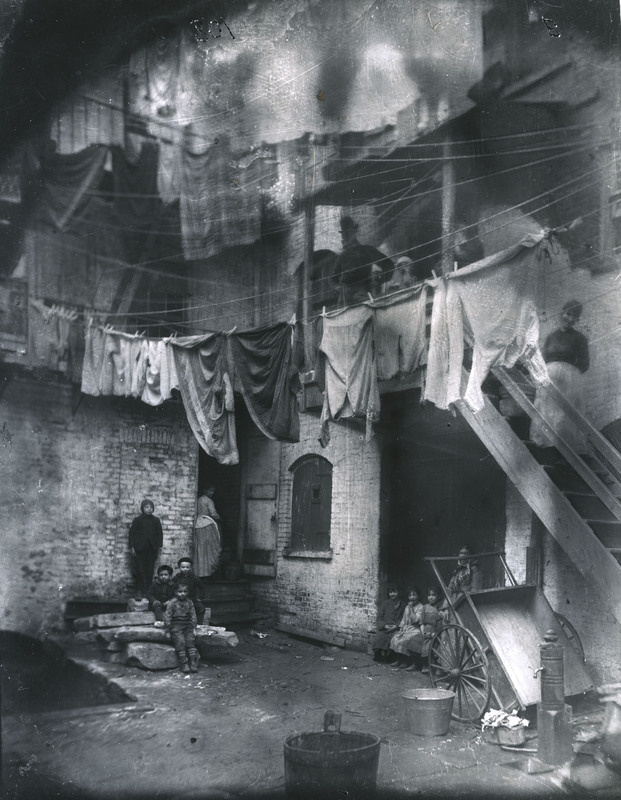 But flourishing alongside this working class culture were a host of urban problems. 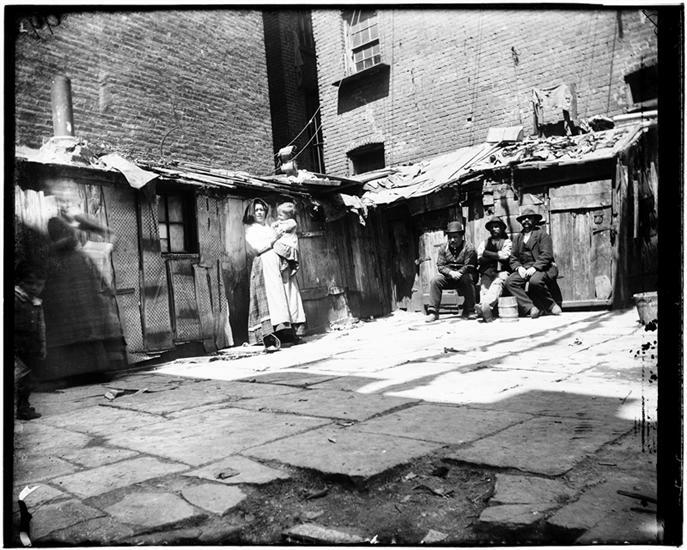 Poverty, hunger, disease, crime, decrepit housing and unsanitary streets were all pervasive on the Lower East Side. 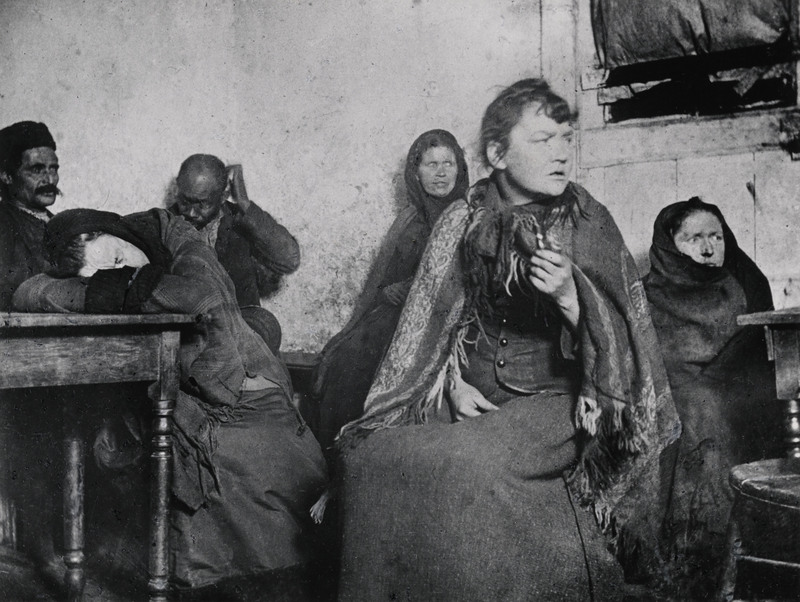 Such conditions dimmed the hopes of many immigrants. 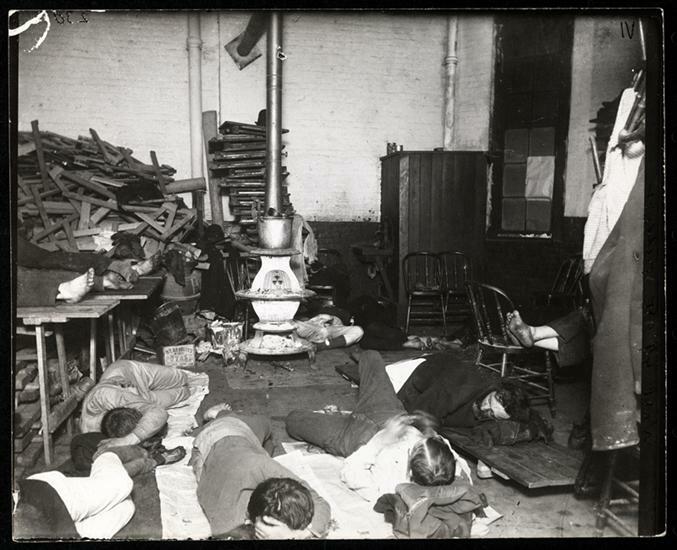 They also alarmed many wealthy and middle-class Americans who perceived in them threats to moral order, political stability and cultural progress. 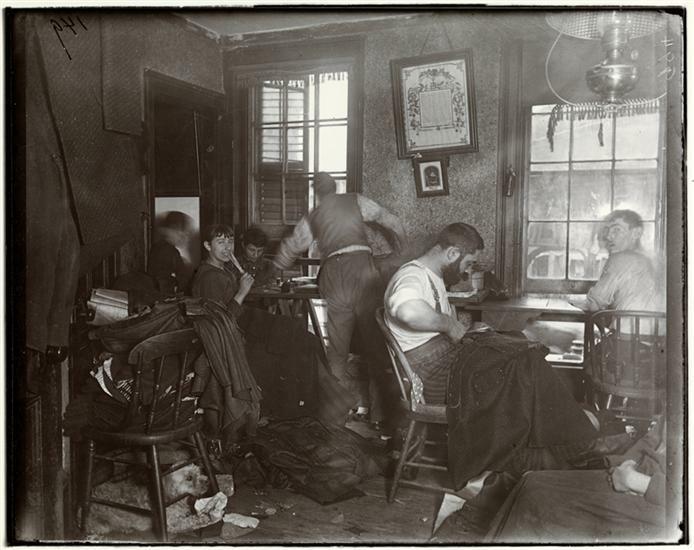 Early attempts to ameliorate conditions in a changing urban society included the creation of charity organizations, industrial training schools, and church missions. LONG ago it was said that “one half of the world does not know how the other half lives.” That was true then. It did not know because it did not care. The half that was on top cared little for the struggles, and less for the fate of those who were underneath, so long as it was able to hold them there and keep its own seat. 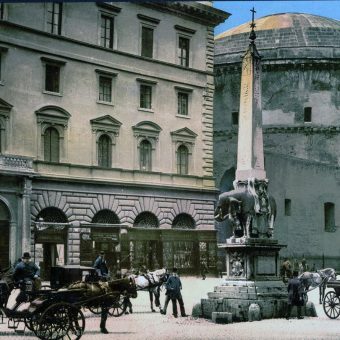 There came a time when the discomfort and crowding below were so great, and the consequent upheavals so violent, that it was no longer an easy thing to do, and then the upper half fell to inquiring what was the matter. Information on the subject has been accumulating rapidly since, and the whole world has had its hands full answering for its old ignorance. 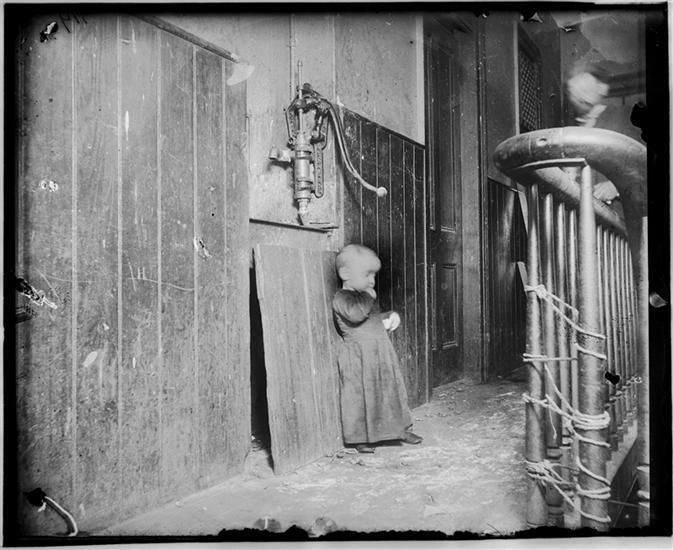 Baby in slum tenement, dark stairs–its playground. 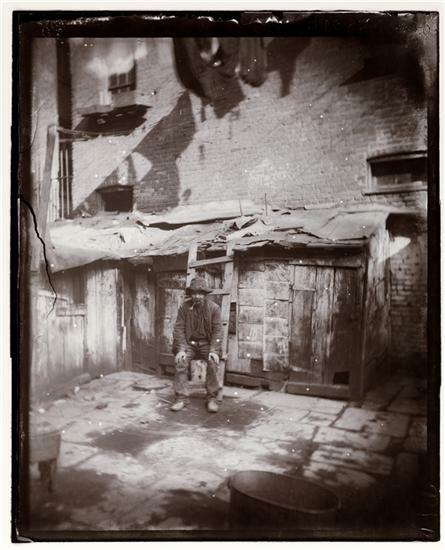 In Poverty Gap, West Twenty-Eighth St. An English Coal-Heaver’s Home. 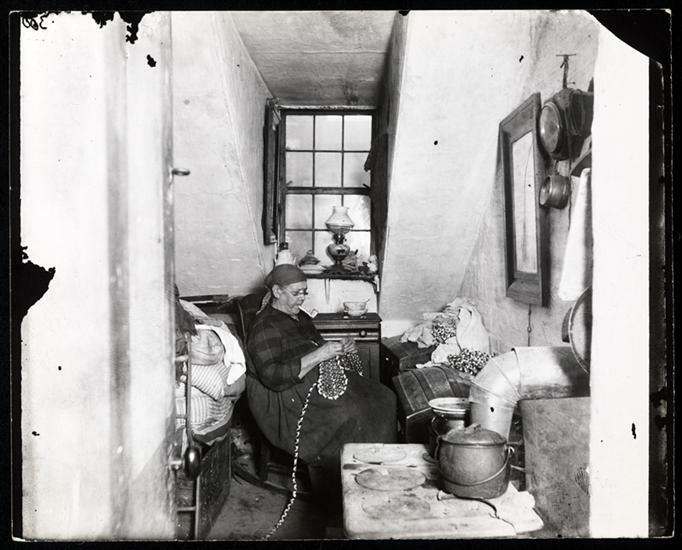 Old Mrs. Benoit in her Hudson Street attic, an Indian widow who lived there four years. 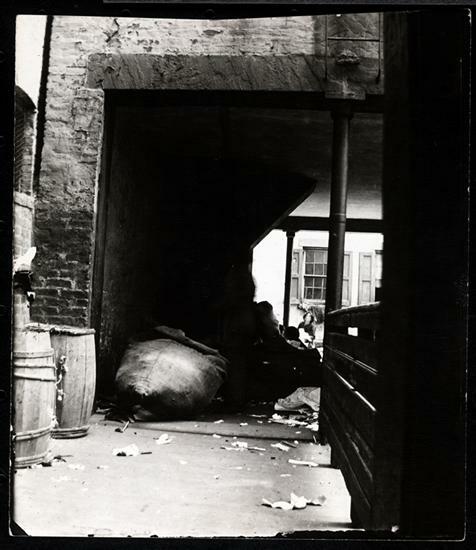 Arch under the first rear tenement at 55 Baxter Street leading to the second rear, with stairs up which Vincenzo Nino went to murder his wife in 1895. House believed to be haunted. 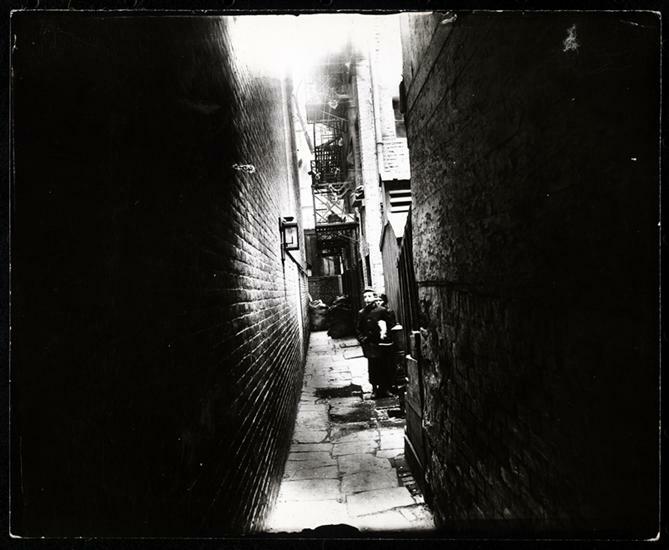 Baxter Street Alley, directly in the rear of Bandits’ Roost. 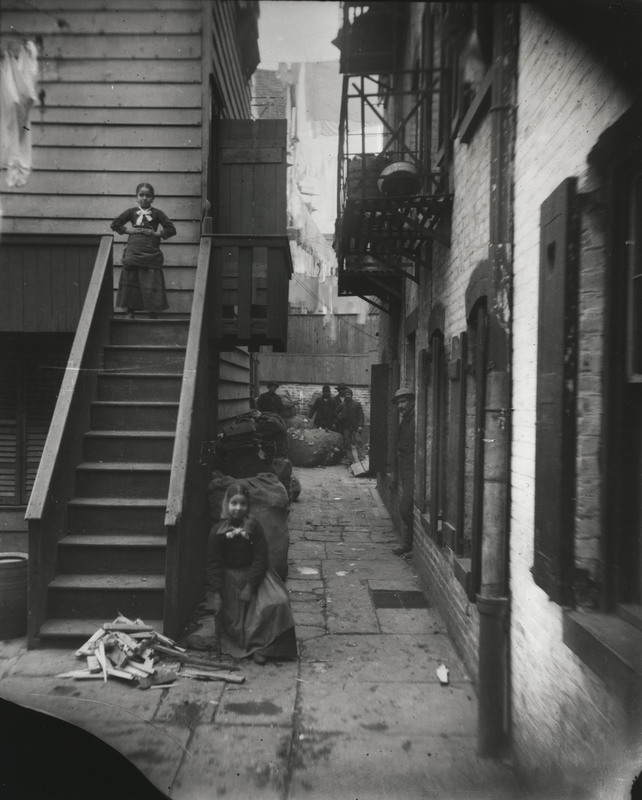 Nibsy’s Alley at 47 1/2 Crosby Street, torn down in the Fall of 1895. 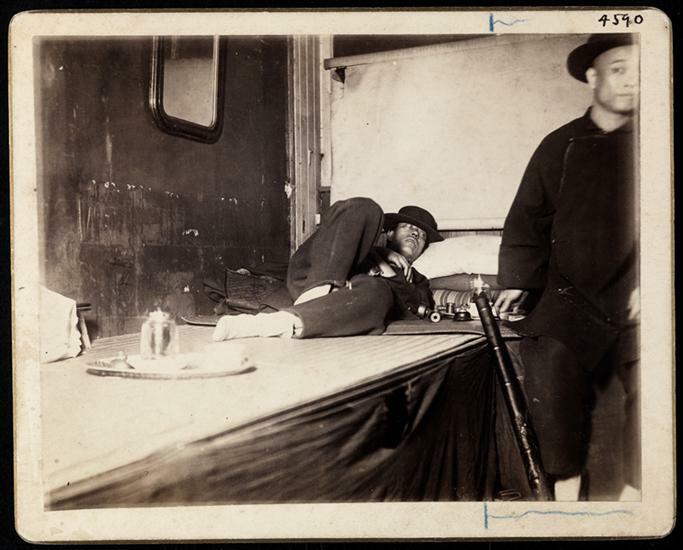 Police Station Lodgers 13. 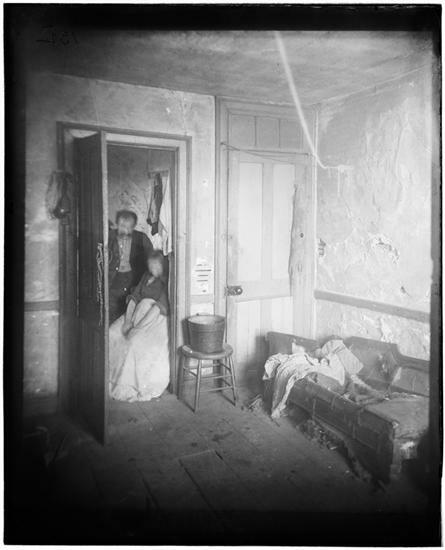 Elizabeth Street Station–Women Lodgers. 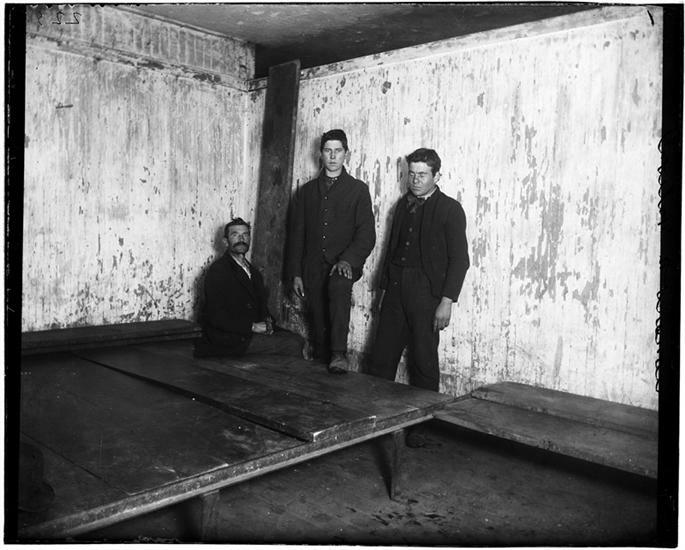 Men’s lodging room in West 47th Street Station. A Boarder at the Rutgers Street Dump. 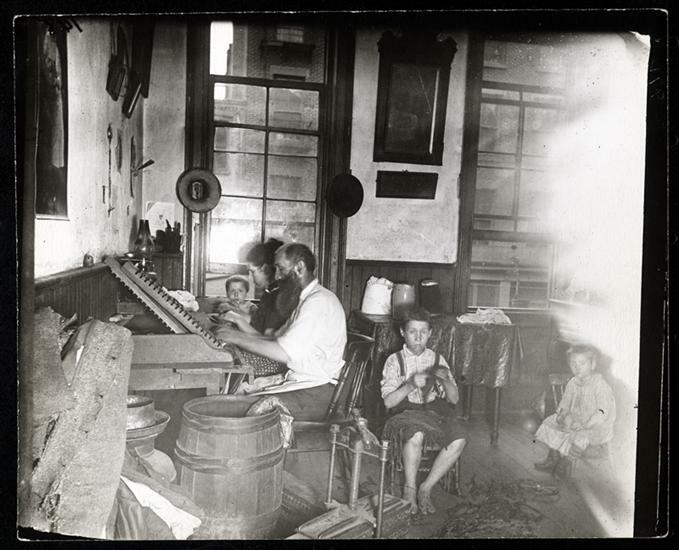 Bohemian cigar makers at work in their tenement. 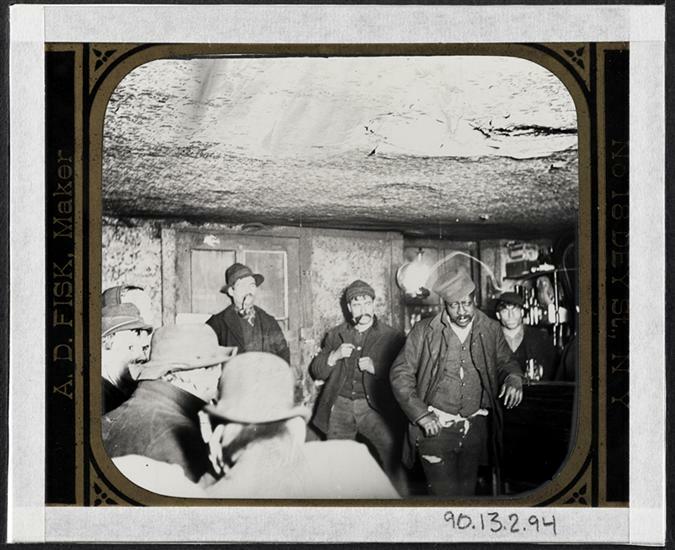 Ready for Sabbath Eve in a Coal Cellar – a cobbler in Ludlow Street. 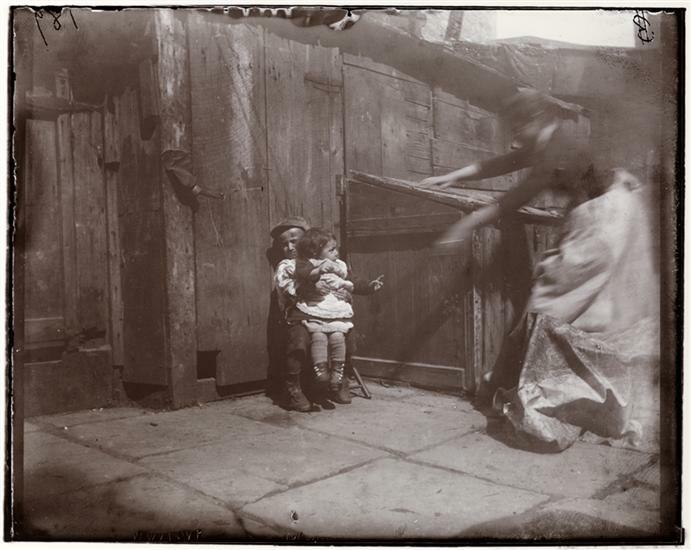 Minding the baby; Baby yells a Whirlwind Scream, Gotham Court. 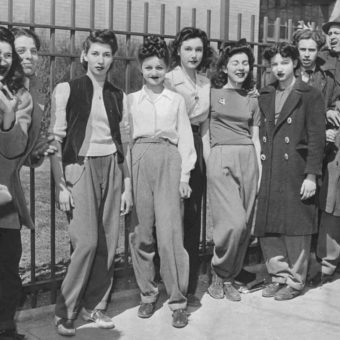 “Knee-pants” at forty five cents a dozen — A Ludlow Street Sweater’s Shop. 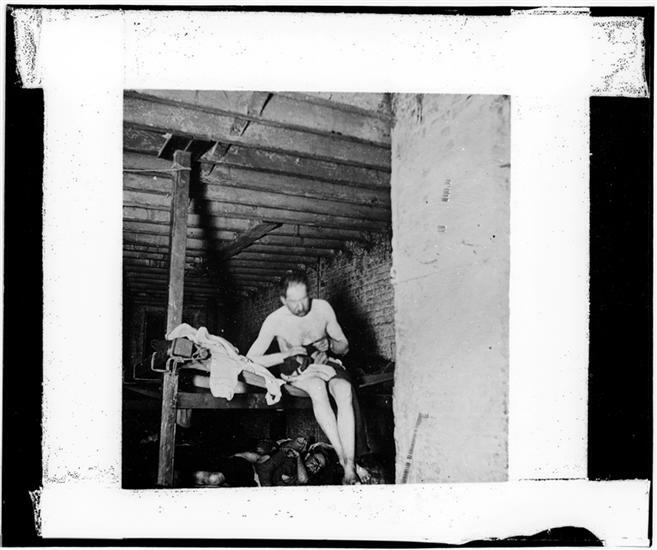 Tommy holding his bootblack kit. 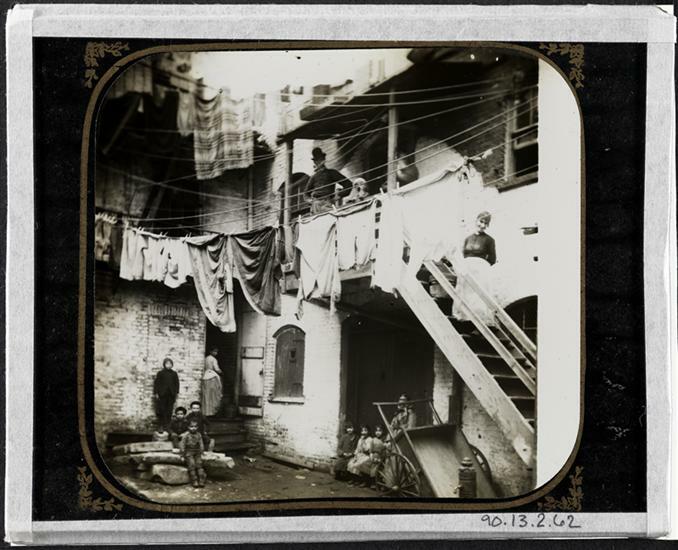 Street Arabs — night, Boys in sleeping quarter. 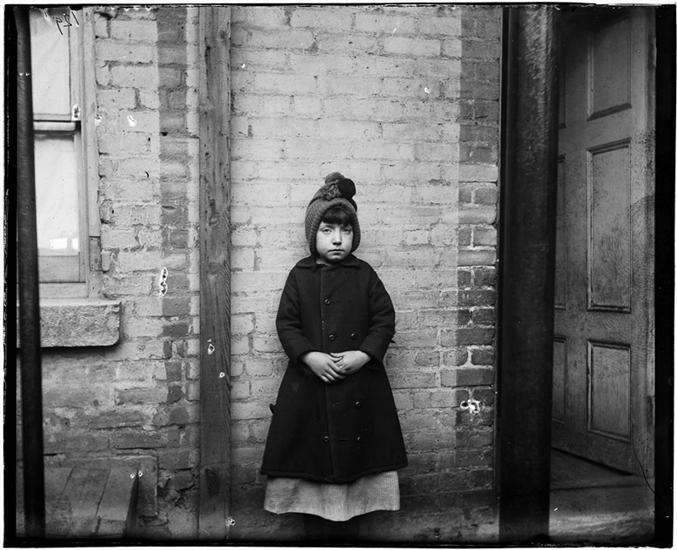 Bringing a foundling to police. 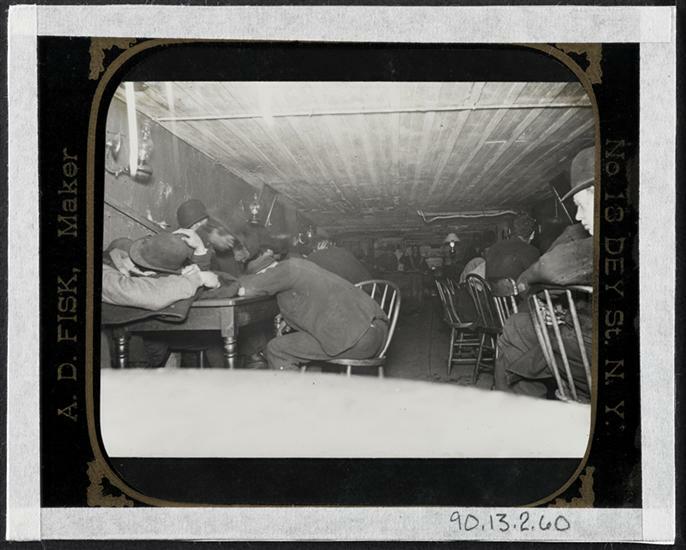 Men in a crowded in an “Black and Tan” dive bar. 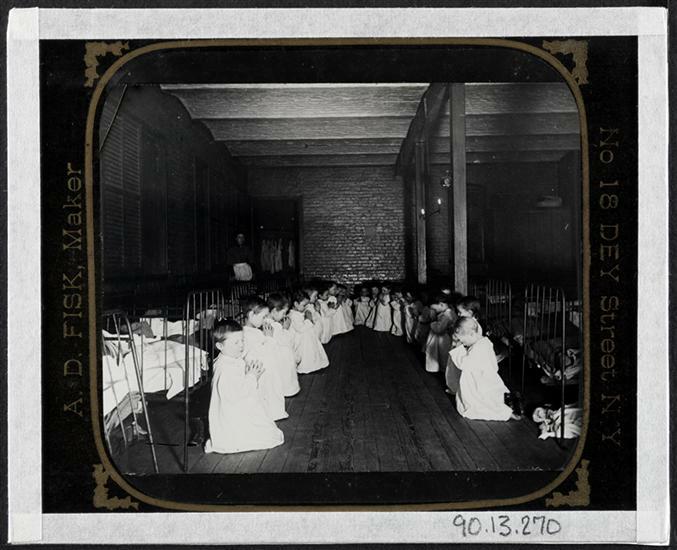 Prayer-time in the Nursery – Five Points House of Industry. n All-Night Two-Cent Restaurant, in “The Bend”. 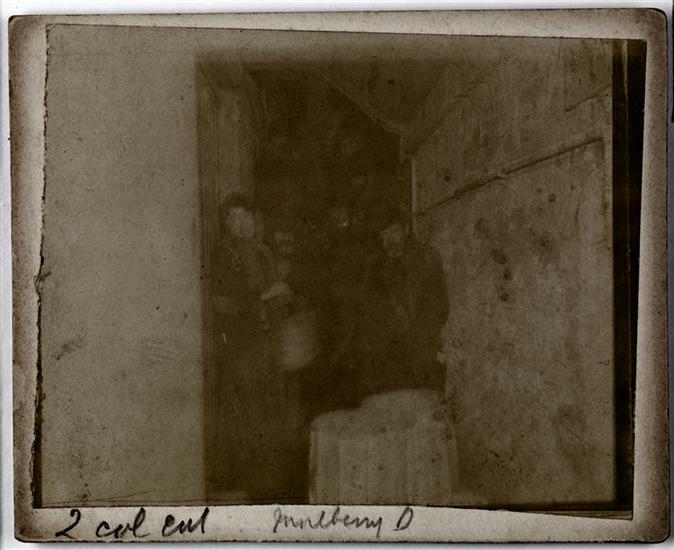 The only Bath-tub in the Block: it hangs in the Air Shaft. 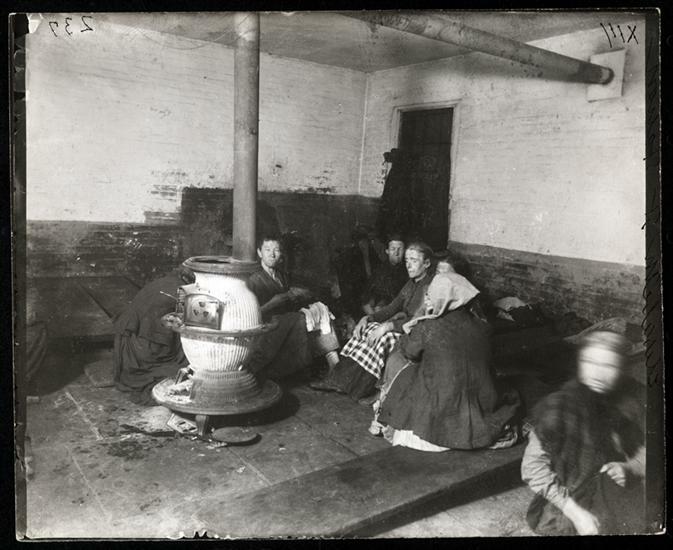 Women’s Lodging Room in Eldridge Street Police Station. 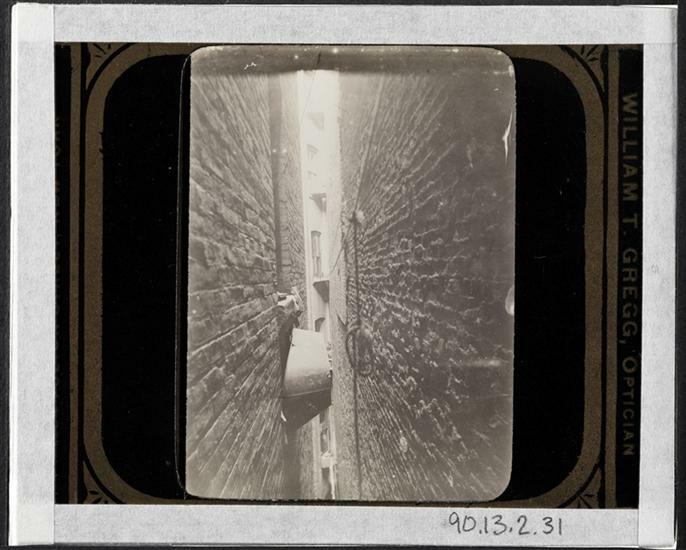 Two Greek children in Gotham Court debating if Santa Claus will get to their alley or not. He did. 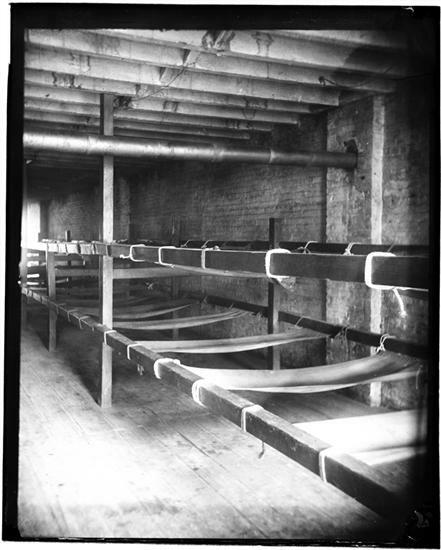 A “Scrub” and her Bed — the Plank. 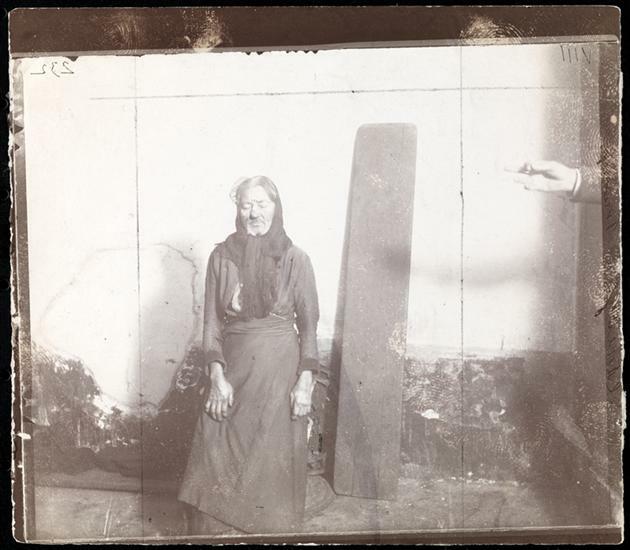 An old woman with the plank she sleeps on at the Eldridge Street Station women’s lodging room. 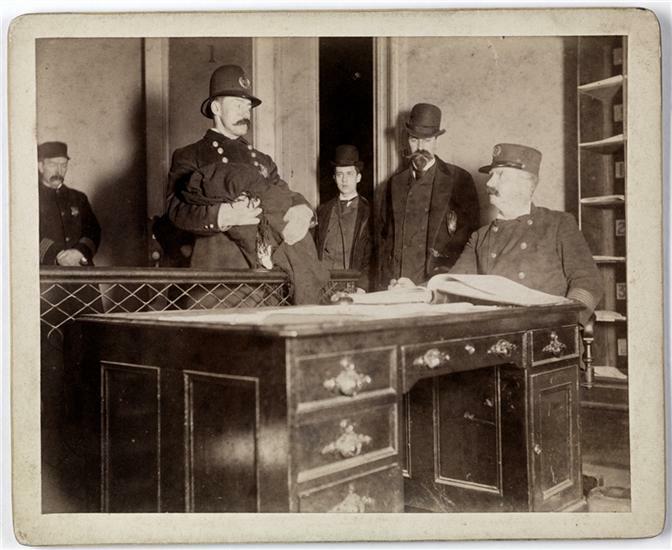 Mulberry Street Police Station. Waiting for the Lodging to open. “I Scrubs.” Katie , who keeps house in West Forty-ninth Street. 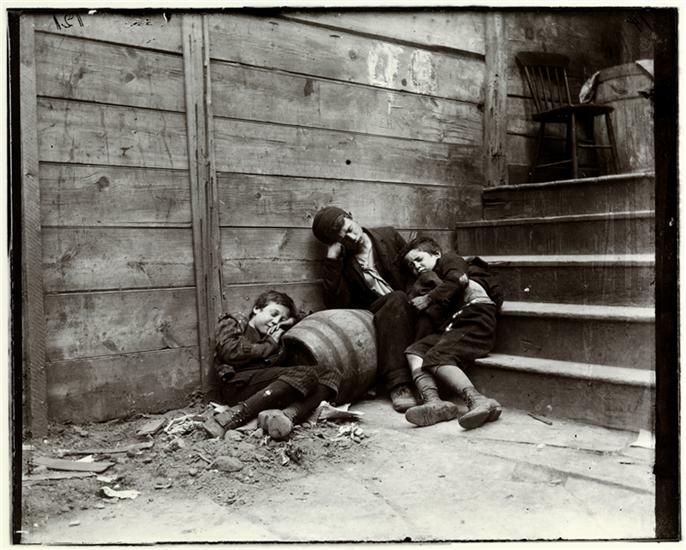 Children in “The Ship,” destroyed by B. of Health in 1897, after the visit of Roosevelt & myself [Jacob A. Riis] there. 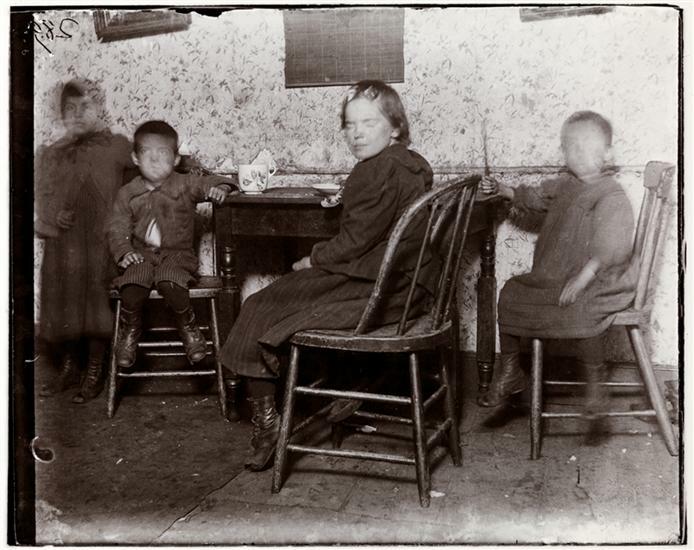 Four children at a table, eating, in a tenement building known as “The Ship” on Hamilton Street. 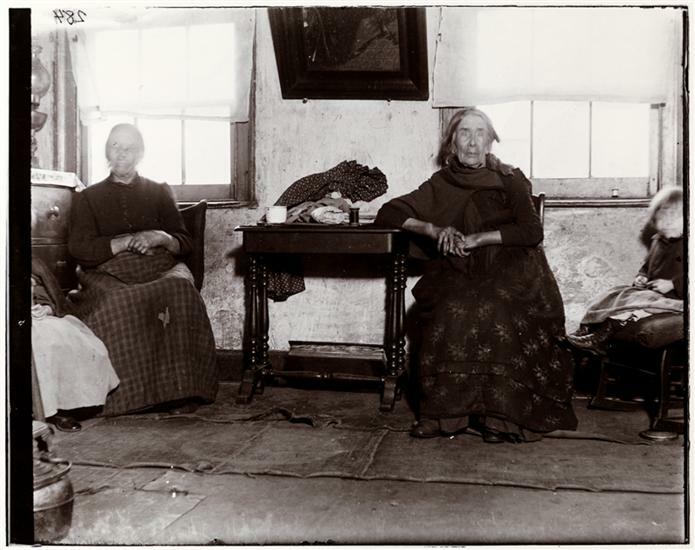 The Old Gribbon sisters at 5 Van Dam Street photographed Dec. 1895 after I [Jacob A. Riis] had got them pensioned by Miss Emily Vanderbilt Sloane. 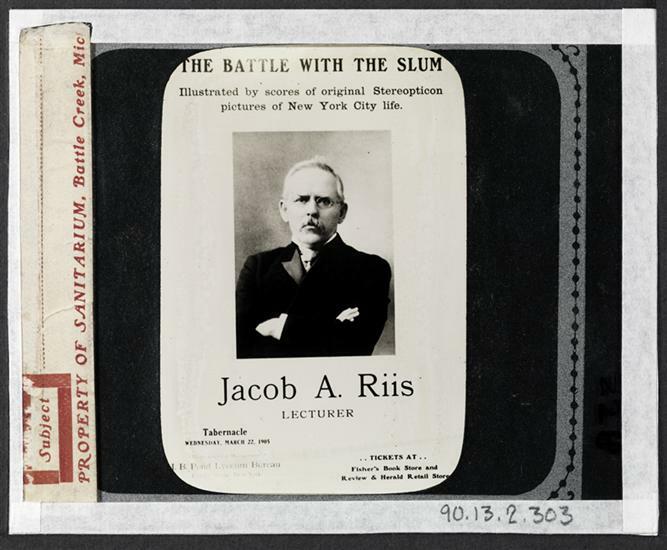 “The Battle with the Slum” poster for Riis lecture. eulogized him “for friendship and encouragement and spirited fellowship, for opening up the hearts of a people to emotion, and for the knowledge upon which to guide that emotion into constructive channels. 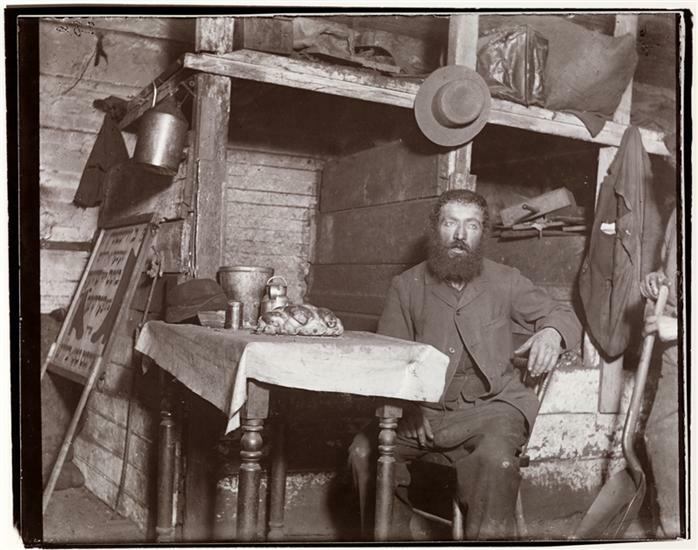 Jacob August Riis (May 3, 1849 – May 26, 1914). Captions in italics by Riis.